Battlefield V has failed to meet EA's expectations, the company revealed at its latest earnings call. The shooter, which launched just over two months ago in November 2018, has sold 7.3 million copies worldwide across all platforms, but the publisher was expecting at least 1 million more. EA CEO Andrew Wilson put the game's performance down to a number of factors, one of them being that it launched during an especially busy period. Indeed, both Red Dead Redemption 2 and Call of Duty: Black Ops 4 made it out before Battlefield V, almost certainly taking attention and potential sales away from DICE's World War II title. That's not really the whole story, though, is it? There was a lot of scepticism surrounding Battlefield V months before it launched, and when it did hit the shelves, the reception wasn't stellar. Not to mention the fact that some key modes were held back as post-release additions, including the game's battle royale component, which is still set to go live in March. It's just too late, innit? Still, so many publishers and developers would kill to have their game sell over 7 million copies, so this is once again a case of questioning EA's estimates. Even from where we were sitting last year, it was clear that Battlefield V wasn't generating the "buzz" that we've come to associate with the industry's biggest blockbusters. But, you know, it's still 7.3 million copies. Yeah, that happens when you lie to your fan base and try to do whatever you want, disregarding the fans, while also disrespecting them. Didn’t EA say they didn’t want some of those fans to but it or didn’t need them to buy their game? Congratulations EA, they didn’t. You should have adjusted the sales target for the people you said shouldn’t buy it. What did they lie about i really dont know? The initial sales expectations of these AAA games have gotten ridiculous. Any other company would lose their mind at the mere idea of selling 7 million copies, but it's "disappointing" for the big wigs. Just insane. I wonder why. And yes, PushSquare, this is it. Not bad for half a game.. So greedy. If EA listened to their fans or even let them design the game, they'd probably sell double the amount. Battlefront 2 is a genuine great game.Fallout 76 is not as bad as you think there is FUN to be had in the game at least better than most 2018 Nintendo titles. @Flaming_Kaiser They said it would be the most realistic Battlefield game and then introduced woman with robot hands. A bit of a realism problem for WW2. They did back off on some of the lack of realism, but it’d still say that qualifies as a lie. @Evilworm Just because they have sales doesn’t mean they’re business practices aren’t greedy, gamebresking, and bad for the industry. I also don’t see how Nintendo ties into this. @jly1987 I agree. That's one reason why I try to avoid gaming communities. I despise the lingo and everything. So many people call games "trash," even though they aren't, etc. It's ridiculous. It's like hating things, particularly in gaming, is a trend people love (and have for years). Anyone else surprised it sold that well? I haven’t heard anything about it. @Jaz007 Ok first off get your facts straight and maybe pick up a history book before spewing nonsense that you read from disgruntle posters. First off women did fight in WWII. Several European women did fight in resistance groups and covert groups. Second of all it wasn't a robot hand it was a prosthetic hand that was common to that era. So yeah no one lied.
" Don't like it, Don't buy it" i follwed their advice to a T..
@youreyesonly00 Maybe for the US but in Europe many of the women did fight. Most of them as I said work undercover and such you'd be surprised at how many did. Facts hurt too much for you I guess. @youreyesonly00 @Tasuki It’s the frontlines with the Germans and British, neither of which had woman fighting on the frontlines. I don’t a lot about the undercover aspect (I’m assuming we’re not talking about resistance fighters and Russian snipers, neithe of which are a problem), but the ratio would still be heavily in favor of men and it they were “undercover,” so it wouldn’t be obvious that they were woman, meaning it’s historically inaccurate if they’re openly woman. It would be hidden and a random eater egg if it was accurate. That was also more than prosthetic hand in WW2. There no way you could use one like that back then. An elite squad soldiers also wouldn’t have someone with a prosthetic hand. It wasn’t robotic directly no, but it certainly didn’t act like WW2 era prosthetic. @Tasuki yeah dude we get it women did fight in WW2 but it was very uncommon it was roughly less than 2% across the board (from what I remember) and a fraction of a percentage of that ever saw combat, you know who else fought in WW2? Children, black people and even Jews fought along side the nazi's against their own people. but making it the focal point of a game and claiming it to be "the most realistic" battlefield to date is a little mendacious if you ask me, and lets face it the cover art isn't what most people think when they read the history of WW2, something I've studied very well. This whole hoo-hah over women: Can you choose whether to be a man or a woman? If so and if nobody wants them in the game, I suppose you just wouldn’t see them. I dare EA to let all their developers create original single player IP's without MTX and always online capabilities. 7.3 million is impressive considering the internet backlash. This is a business news piece. EA and big corporations base profits and sales on estimates. With the marketing clout and bundles EA are always going to sell loads, it’s just not enough. They launched with a product that could not compete with its competitors at launch. Hopefully lessons are learned. @MadAussieBloke wow you're so cool bro! Can I be you're apprentice. I wish I could hate on things in lieu of a personality. @Boxmonkey breaking news! Loud hysterical minority turns out to be a minority. A Battlefield game where rush mode is only available as a timed event is no real BF game to me. I own every BF game starting from BF1942, except BF V.
Battlefront 2 happened EA. Dont pretend its due to a busy winter period, even if RDR2 will have eaten some sales. The complete disregard for customers when Star Wars came out was always going to have an impact on sales for this. I dont hear anyone talking about the game at all either, which doesnt help! @Evilworm Battlefront 2 a great game 😂😂😂. You mean that game which would cost over $2000 or 7 months at 24 hours a day playing to unlock everything. The game which had be completely rebalanced to make it work without the loot boxes which were completely "optional" and a poor 4 hour campaign. If you genuinely believe that and Fallout 76 are better than Nintendo titles or any game in terms of the latter then good luck to you. it didn't meet sales expectation cuz it's 50% off in less than 1 month, and the sales only picks up after the price drop. I've played Battlefield 1 since BF1942 and I disliked it - my other half loved it. 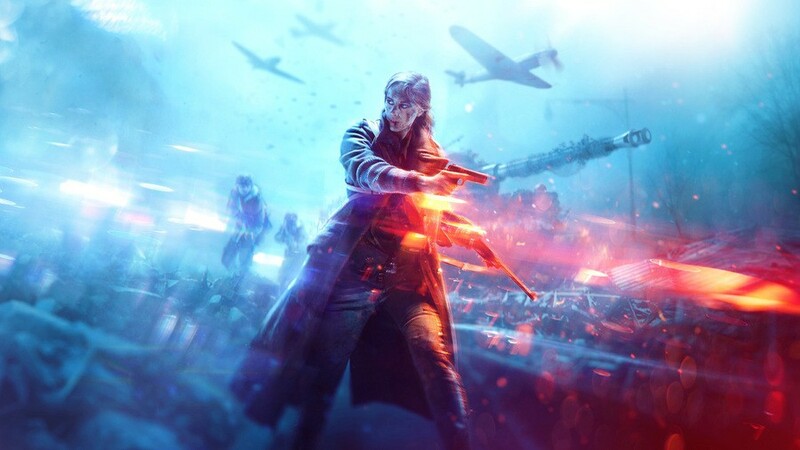 I preferred watching her play through the SP - I'll get BFV after December this year as I always then to dive in a year later as it's been on my radar for a while. @MadAussieBloke Not even Dead Space 1 and 2 or the Mass Effect trilogy? Those are well worth a look. I notice the article masterfully leaves out the obvious controversy where gamers were called misogynists for calling out the robo-girl. I'll buy it when it's much cheaper, just like I did with BF1. £60+ is ridiculous for a game filled with microtransactions and I only care about your single player aspect of the game. Many publishers would give their eye-teeth for 7 million sales. But it’s all about expectations. When you compare yourself to COD then you’re likely to be disappointed. Personally I don’t play any of these FPS games, but I feel like EA apparently needs to temper expectations. I'm sure it still made a profit. Greedy shareholders are to blame for it being a "disappointment". Let's not forget that of those "7 million sales" they were forced to offer deep discounts on prices almost from Day One. This article leaves out quite a few other critical details to spare EA's blushes. What a horrible company. I personally feel bad for DICE. On the one hand you have a Publisher that's tied you down. You have to make the games they want with little say in anything. When not rushed to the market by EA and given a proper development cycle, DICE can do amazing things. Just look at Battlefield 3, 1 or the Bad Company games. Then on the other hand you have the community which like any other community these days are full of whingey little gimme gimme gamergate idiots. To sell 7 million copies despite such a backlash against the publisher is quite the achievement. To hell with what EA or anyone else says. I've always played DICE games since Pinball Dreams debuted on the Amiga 500 and always will. @FullbringIchigo I love SQEEX but they can be just as bad. I'm pretty sure Sleeping Dogs and Hitman did pretty decent numbers but were 'below expectations'. Both great games. And don't get me started on what they did to Deus Ex Mankind Divided. RIP Sleeping Dogs, United Front and Deus Ex. @jly1987 fair enough if designing and making your own game, but when making a popular and established franchise such as Battlefield, its a bad idea to replace gameplay mechanics with money making ideas. Spit out an unfinished game with missing modes and maps, and of course you won't make sales. I enjoy Battlefield V but it still feels incomplete for some reason, and not just for the Battle Royale mode which I'm not interested in. @nessisonett The realism and atmosphere created by it in BF1 did a lot for the game in my experience with it. If something blantantly out of place like woman or robot arms (or even the Katana some American I think was using in the reveal - don’t quote me on that one) is there it would have hurt the atmosphere and game to me. This also has nothing to do with focusing on lesser known pets of the war. I don’t think resistance fighters are a faction. And why do you say “Americans thought woman” were too frail. If the nation wasn’t conquered and only had resistance fighters, that was most of the nations having that policy, American or otherwise. Played BF4 to death. Bought BF1 and hated it. Didn't bother at all with BFV. 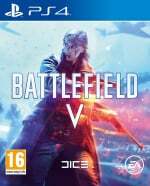 BFV selling 7 million copies means it was a success, regardless of what EA says, it is their problem for setting their sale expectations so high. Where they hoping to match RDR2’s sales or something? Personally I’m loving BFV, IMO it’s an improvement over BF1 with better weapons, vehicles and maps. Looking forward to seeing how it’s battle royale mode plays. This is also a major publisher. To them, games never "sell well" because it's never enough for the shareholders. It's like their sales expectations are always at x+1, where x is the number of copies they end up selling. EA is also a particularly scummy company, though, so I don't care how poorly their games sell. The world would be better off if they went out of business. Those aren't the only reasons people weren't buying this. My kids wanted this and CoD4. I told them they could get CoD4.